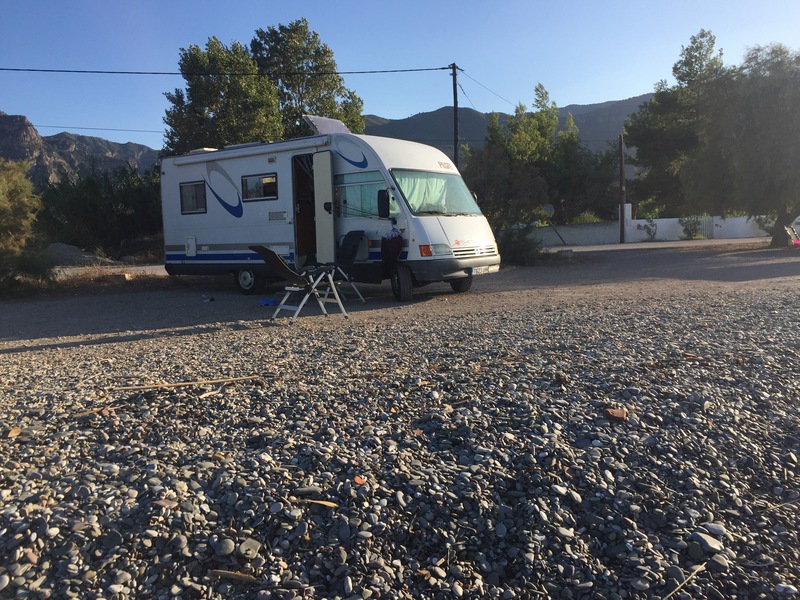 Paloma, our motorhome hasn’t moved an inch. She is still occupying a spot on the pebble beach of Diakofto. 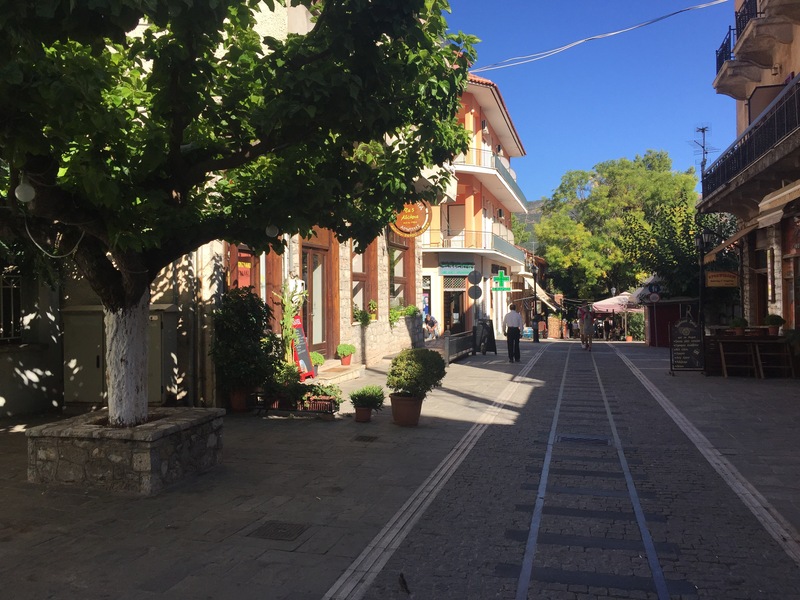 The sleepy village and the calm waters of the Gulf of Corinth gave no indication of the wild beauty that would soon be on us as we climb aboard this tiny little train. The railway’s construction in the early 19th century was considered a feat of advanced engineering and made possible thanks to the valuable knowledge of the French and Italian workers who had built similar systems in the Alps. Yesterday when we walked into the village, we spotted the train station and eyed up locomotive number 8003. 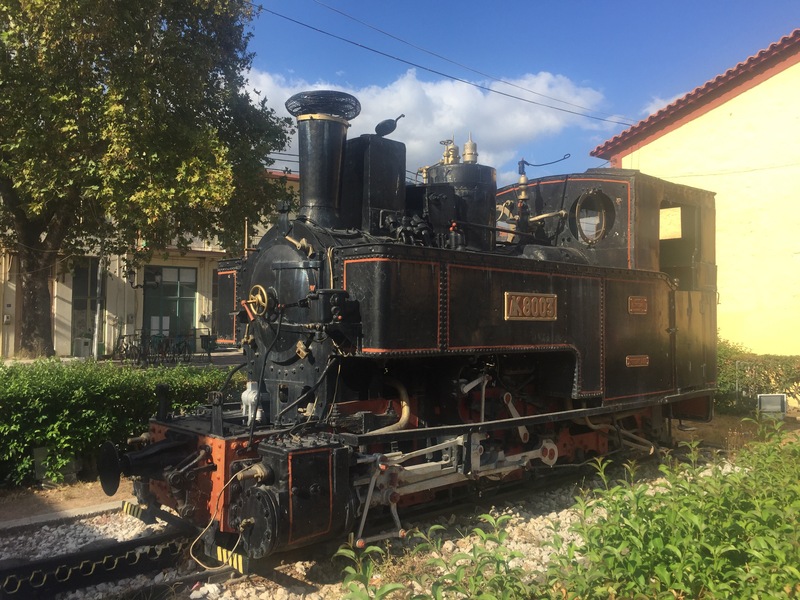 This little engine had served this route for 70 years and has been preserved as a monument after travelling over two million kilometres, back and forth to Kalavrita. Hopefully the one we were going catch might be slightly newer ?? 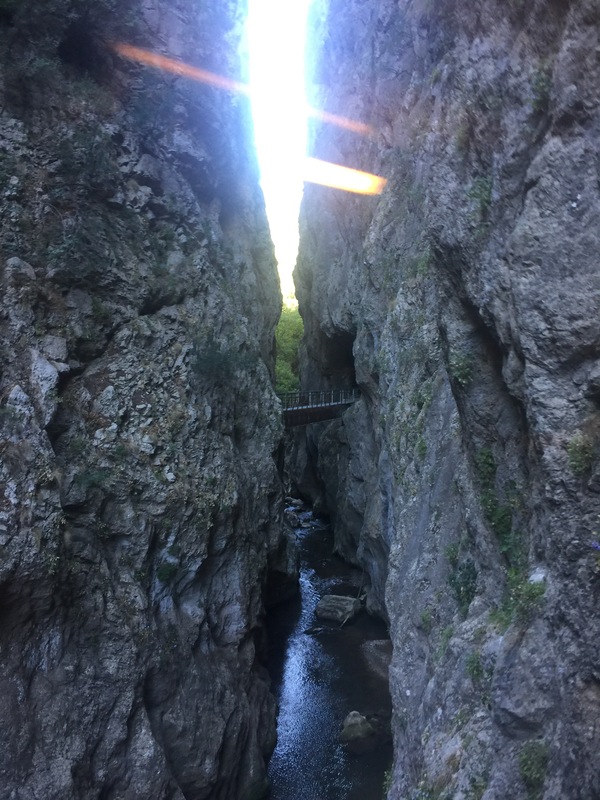 As the train leaves the station at Diakofto, Leaving behind farms and olive groves, the walls of the gorge start to get narrower, to an almost impassable slit thought the towering cliffs. The electric-powered train makes its way through tunnels bored into the rock and dark underpasses, clings to narrow bridges. 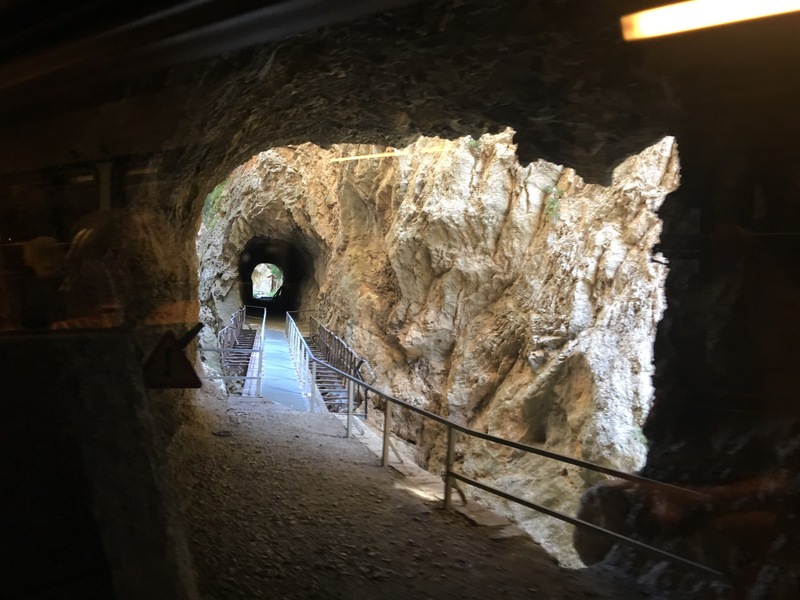 Once we hit the steepest section the train clicked into the rack and pinion system to get it up the slopes and the gorge we were in narrowed even more. Soon we were skirting around the rock face with millimetres to spare perched above the gushing torrents of a river below us. This stunning journey takes about 60 minutes, has a length of 22 kilometers and rises to an altitude of 720 meters, finally allowing you to arrive in Kalavryta, a small town set in the hills below Mount Helmos. 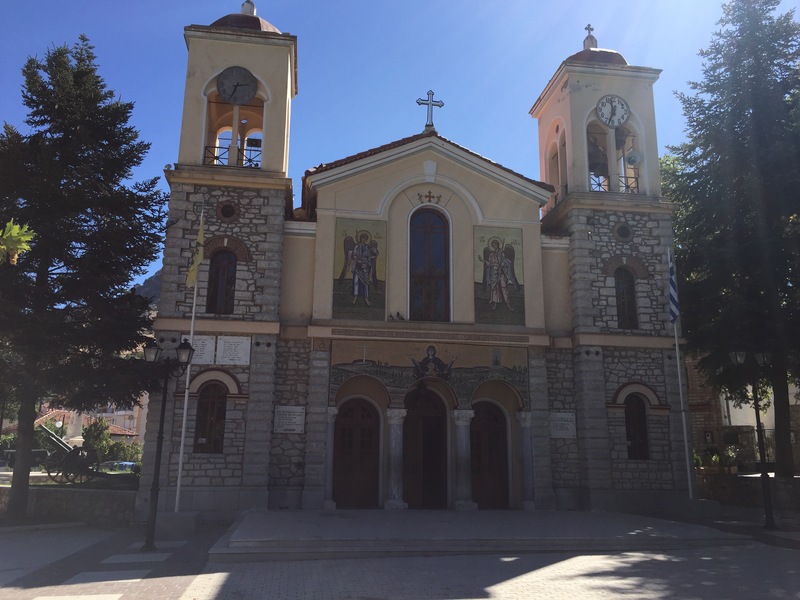 Kalavryta will definitely enchant you with its beauty and its simplicity. A dreamy setting with charming squares, cobblestone alleys and stone houses. 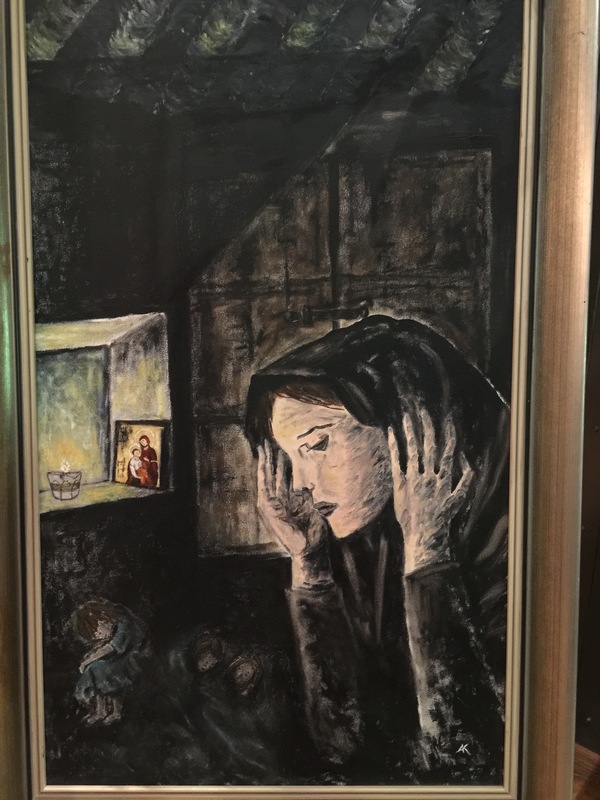 But The story of Kalavrita is a very sad one…. At the end of 1943, 81 German soldiers, led by Hauptmann Johannes Schober, were captured by Greek Partisans near Kerpini village. Four Germans were killed on the spot and three were taken to the hospital at Kalavrita, but later shot by furious Partisans. All the others were treated as prisoners of war. Two prisoners escaped and raised the alarm. On December the 8th, the German troops destroyed the villages Kerpini and Pogi and killed their male population. Soon after this took place, the Greek resistance executed the German prisoners. During the following days, German troops entered Kalavrita to look for the Greek resistance soldiers. 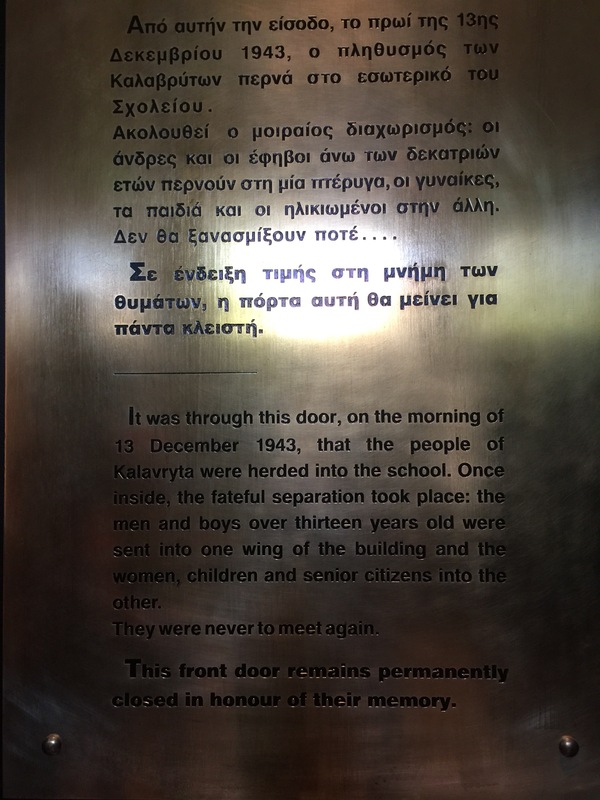 Although the villagers affirmed them that the Greek forces had left, the Nazi troops ordered on the 13th of December 1943 all the residents to the school building. They separated men and boys from the women. All the male residents of Kalavrita, aged 13 years and older then had to gather in a field on Kapi Hill and they were gunned down. From the 468 people, 13 survived the two and half hour firing squad! In total more than 1200 civilians were killed in Kalavrita and it’s neighbouring villages and around 1000 houses were looted and burned down. One of the most prominent things is the door they were all herded though, now it remains permanently locked never to be reopened – serving as a constant reminder to the towns folk. 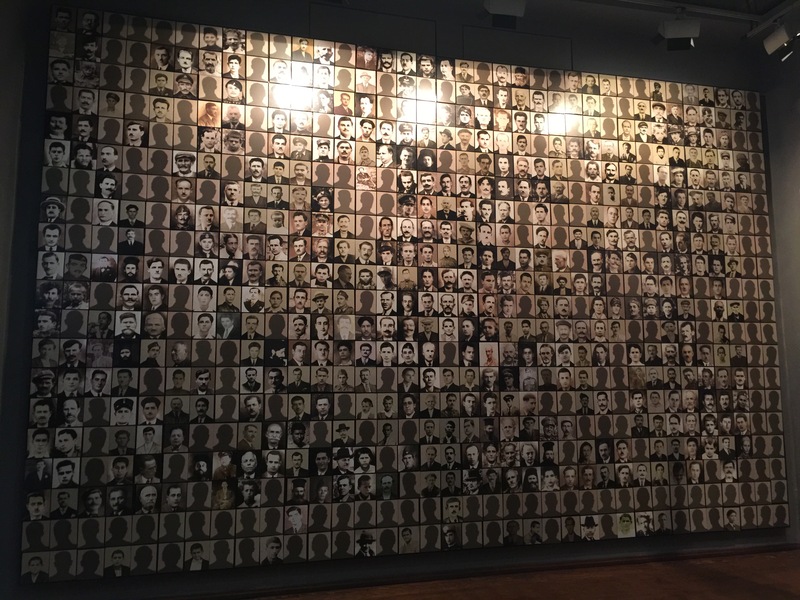 The last image you see as you leave the museum is a huge wall with the faces of the men and boys who lost their lives. It was all so moving, the whole thing evokes such raw emotion, you leave filling with tears.. 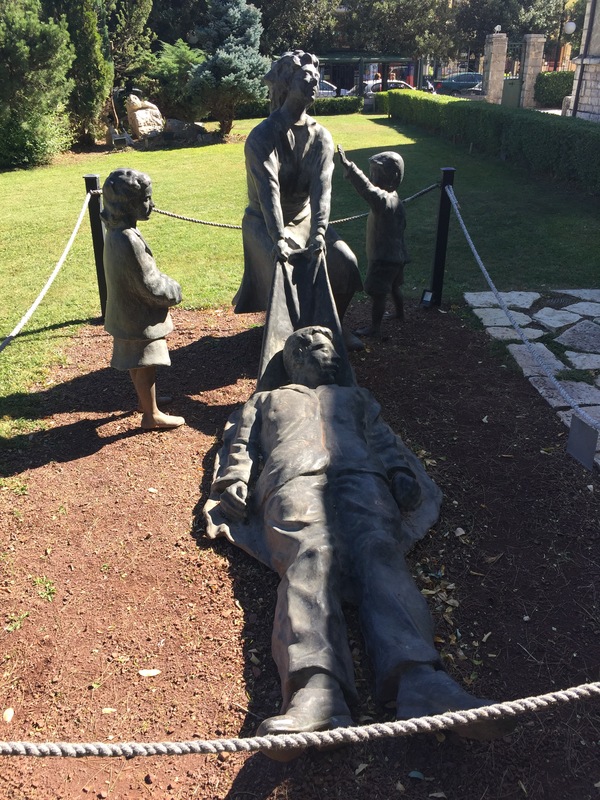 The final reminder of these grim times is in the museum garden a statue of a woman and her children dragging their father’s dead body to a grave.